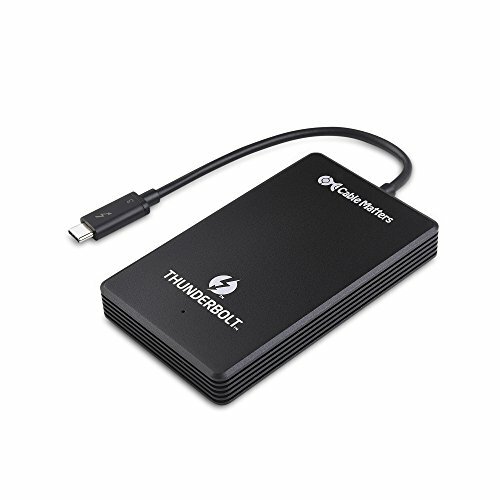 The Cable Matters Thunderbolt 3 480GB External NVMe SSD Drive delivers lightning fast speed that is 4x the data transfer speed of a USB-C external hard drive. Look for the Thunderbolt 3 port to guarantee compatibility and maximum performance. It is NOT compatible with computers with USB-C only ports. Not all Thunderbolt 3 ports are 40 Gbps rated. Some Thunderbolt 3 ports are only 20 Gbps rated and perform at reduced speed.